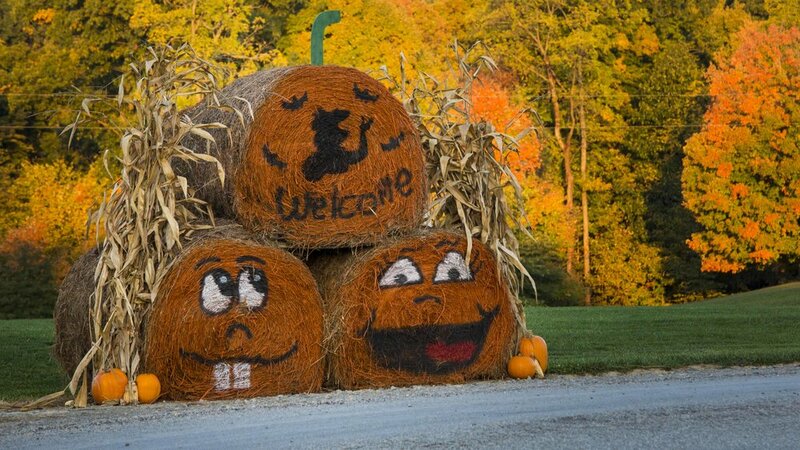 Amish Country... A Great Fall Weekend Spot! We wanted to take one last trip with the trailer in 2016. We looked for a place within 2 hours of home, that would be fun for Daniel, with some local attractions, and that’s naturally beautiful. 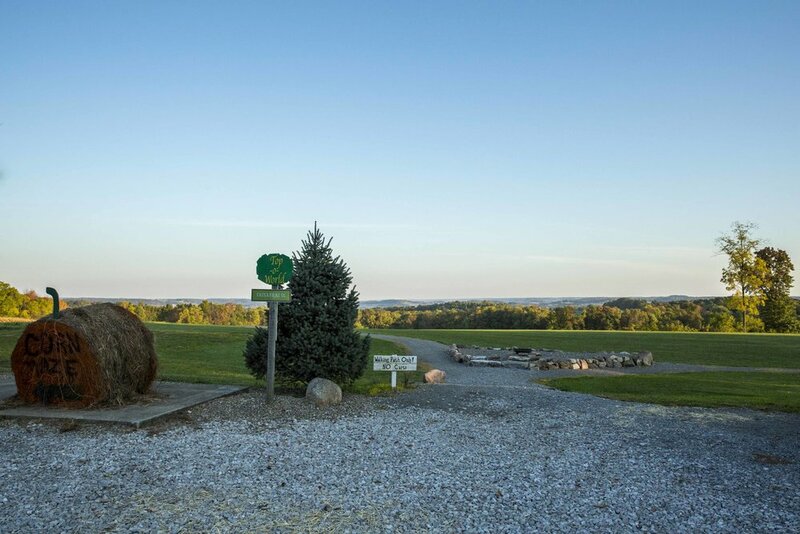 We thought about Amish Country and did a search for campgrounds… Yogi Bear’s Whispering Hills Jellystone Camp Resort in Big Prairie! Perfect! Daniel had school off on Friday, so we got going early. Big Prairie is about 20 minutes south of Wooster on Rt. 514. 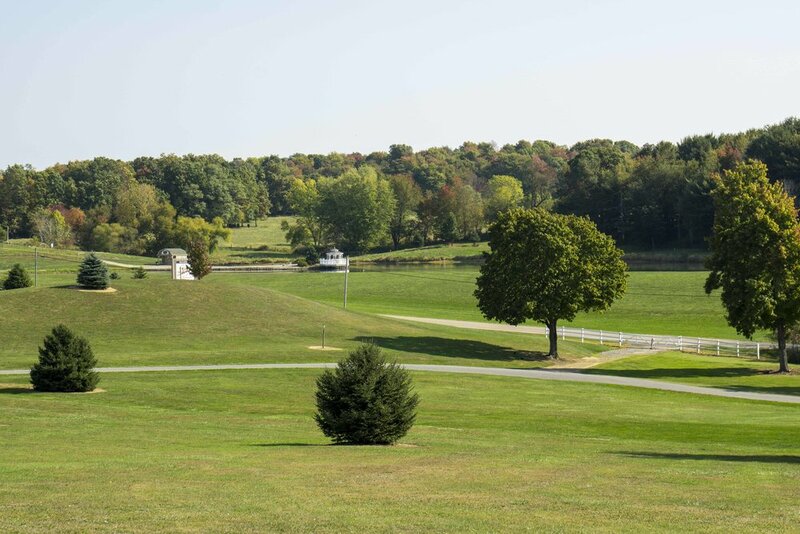 From Amherst, we took the scenic route… Rt. 58 through Oberlin and Wellington to Rt. 89… lots of rolling hills, little towns, farms, and beautiful fall scenery. Other options to get to the area include I-71 south to Rt. 250 to Rt. 89 and I-77 south to Rt. 30. 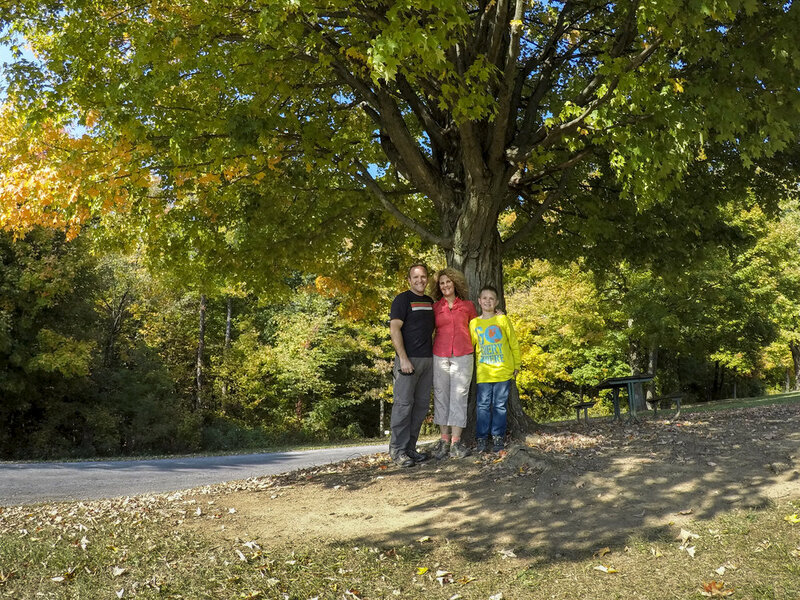 As we approached Yogi Bear’s Whispering Hills Jellystone Camp Resort we all got excited… Daniel saw bales of hay painted as pumpkins and other fun Halloween decorations, and Todd and I saw beautiful rolling hills and a small lake outlined with trees just starting to turn fall colors. When we found our site we were even more excited… an end site with lots of extra space! 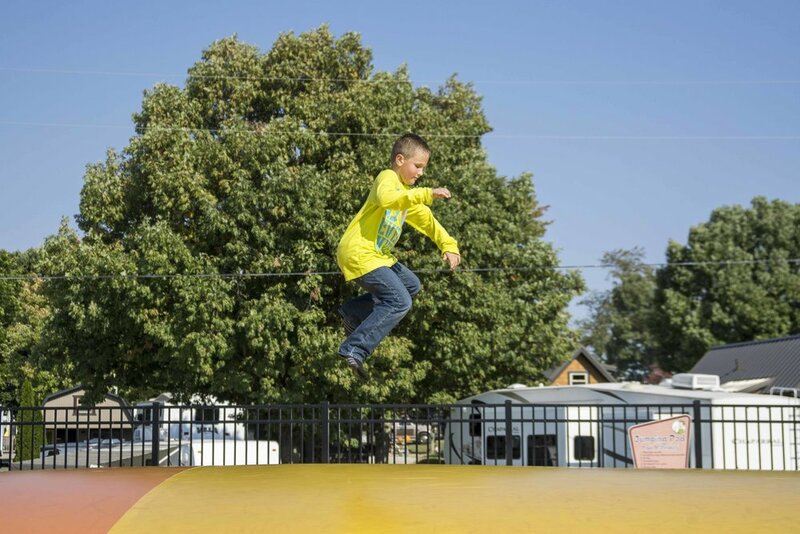 Yogi Bear’s Whispering Hills Jellystone Camp Resort is one of the best we’ve visited! 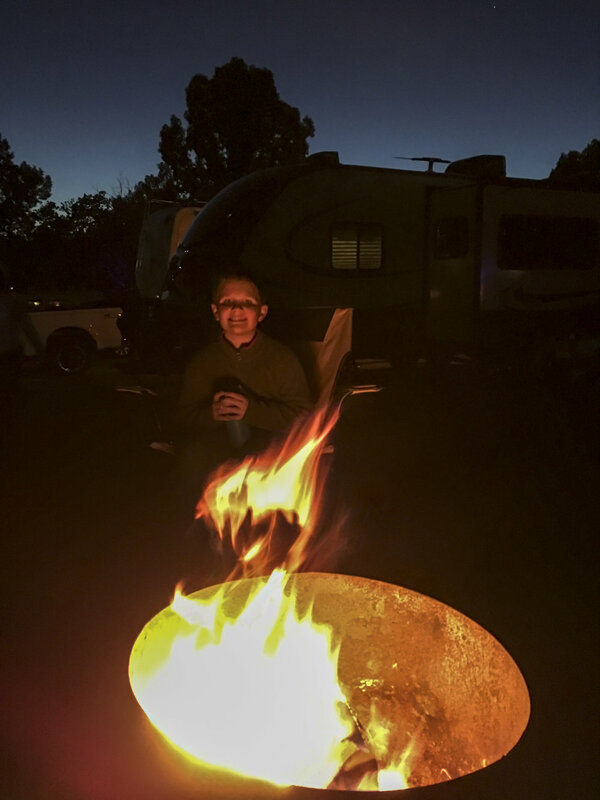 The vibe is fantastic… a good mix of seasonal and transient campers. There are tons of activities for kids including 2 bouncing pillows, an arcade, a recreation area, an outdoor theatre, and a pool. Todd and I loved all the open green space and the running/walking trails. The campground is spotless and the washrooms are cleaned multiple times a day. In addition to a variety of different kinds of camp sites, there are 3 different types of cabins available that look really nice and most have full facilities. 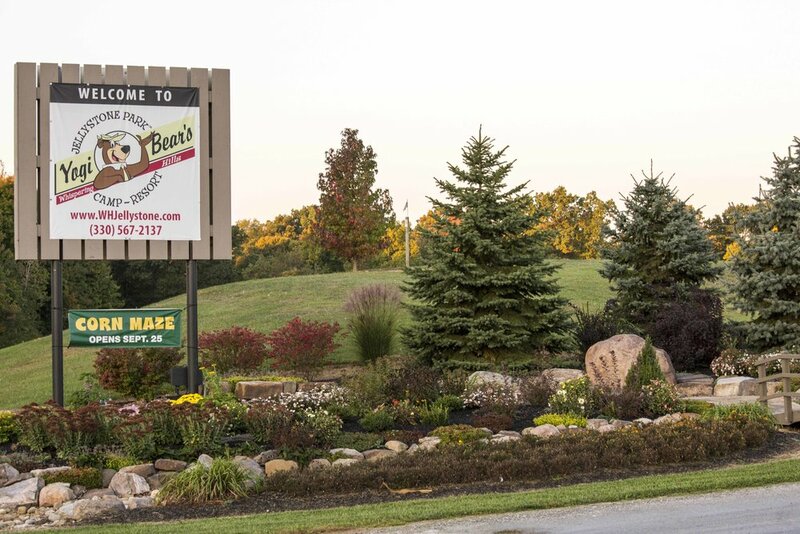 Before getting too settled in we decided to hit the road again for a trip to Heini’s Cheese and a scenic ride through Amish Country. From Big Prarie we headed south east towards Millersburg. The address for Heini’s Cheese is in Millersburg, however it’s quite a bit east of downtown Millersburg and is actually about a mile north of the town of Berlin on County Rd 77. It was about 2pm on Friday… we intentionally planned not to explore Amish Country on Saturday because it gets so crowded. However, Millersburg and Berlin were totally PACKED! Lots of traffic and people everywhere. We went into Heini’s and there was a huge line just to look at the cheese… there was another line to pay for it! We decided that we didn’t want cheese that bad and left. Though we didn’t have any cheese, all was not lost. We ignored the GPS and turned left out of the Heini’s parking lot… Todd never visited Amish Country as a child and Daniel had never been to Amish Country. I kept telling them stories about visiting Amish Country with my mom, grandma, and sister… we spent beautiful days driving to little shops, restaurants, and farms… we sampled great food, interacted with the Amish people, and gained an appreciation for the Amish way of life. The line at Heini’s and the traffic in Berlin are not what Amish Country is all about and we were determined to figure out how to change our experience! Just minutes after going off course we knew we made the right choice… an Amish school with kids playing at recess. We drove north through Mt. Hope and then started heading west back toward the campground. Everything slowed down and we started to experience the Amish Country I remember. It was great to expose Daniel to another way of life that’s so close to us… we don’t have to go to other countries or places far away for great cultural experiences! 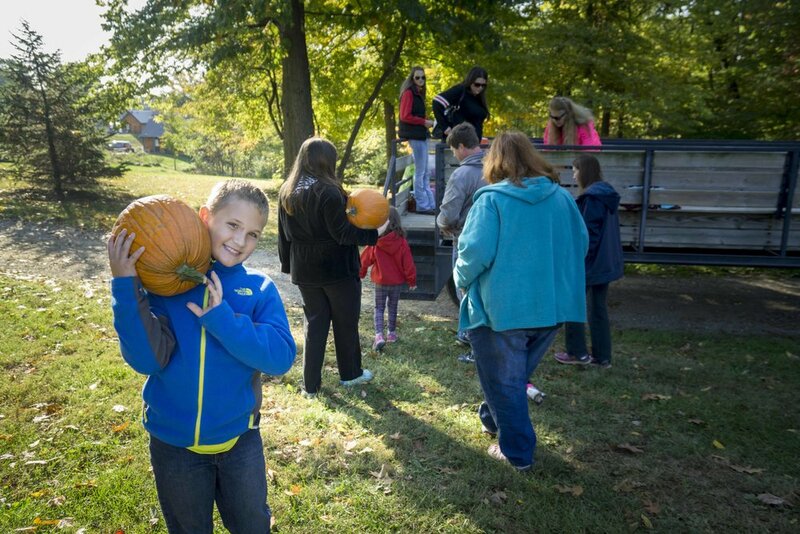 Saturday was packed with Halloween activities. We started off with a wagon ride to the pumpkin patch. Before carving pumpkins we explored the grounds a bit. 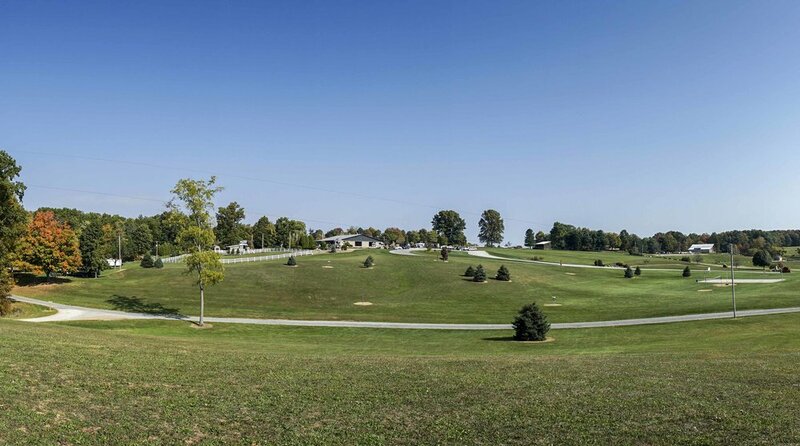 The campground is on 220 acres and much of it is natural. There are multiple places to stop and take in the scenery from different perspectives. 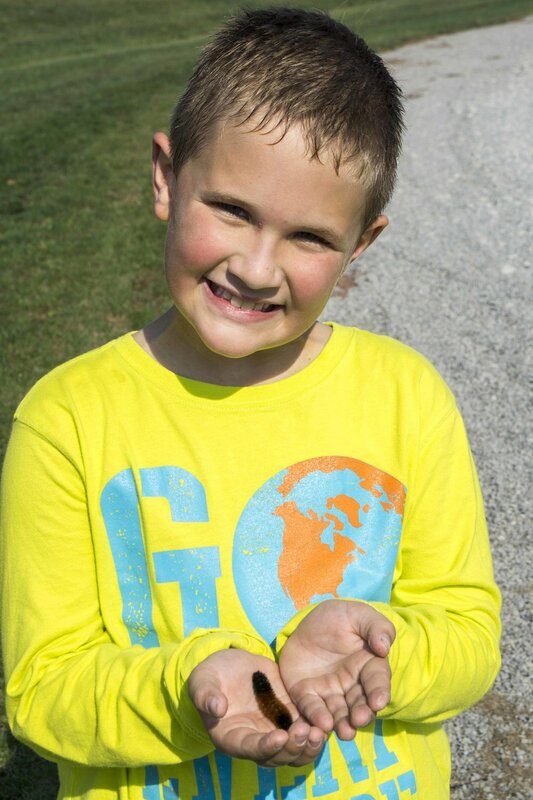 Daniel even found a little friend for the journey… a wooly bear! 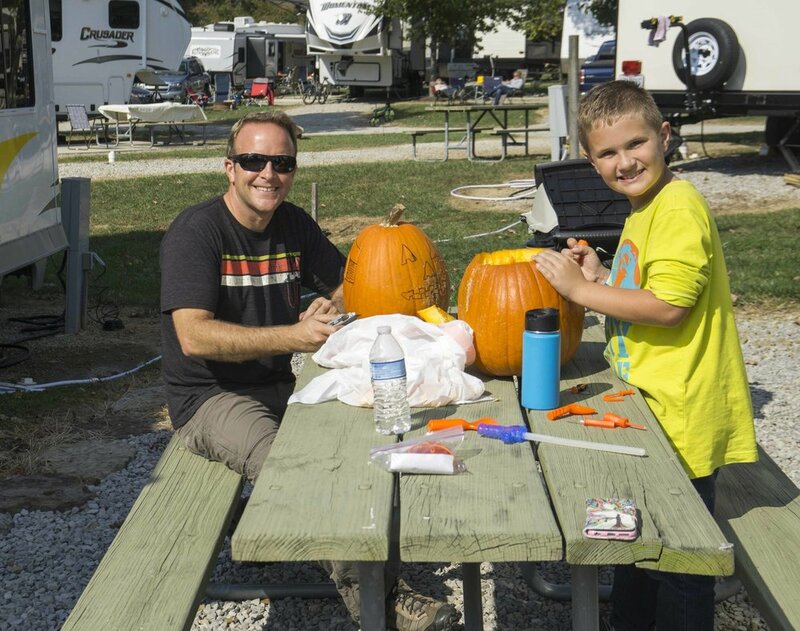 Pumpkin carving outside at a campground is great… not much mess to worry about. 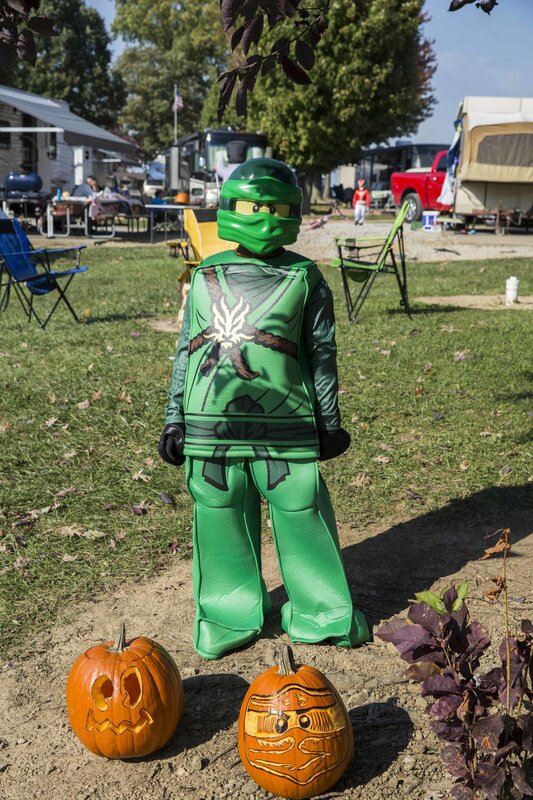 Todd’s Lego Ninjago Pumpkin got lots of comments from trick or treaters… we should have entered it in the pumpkin carving contest! 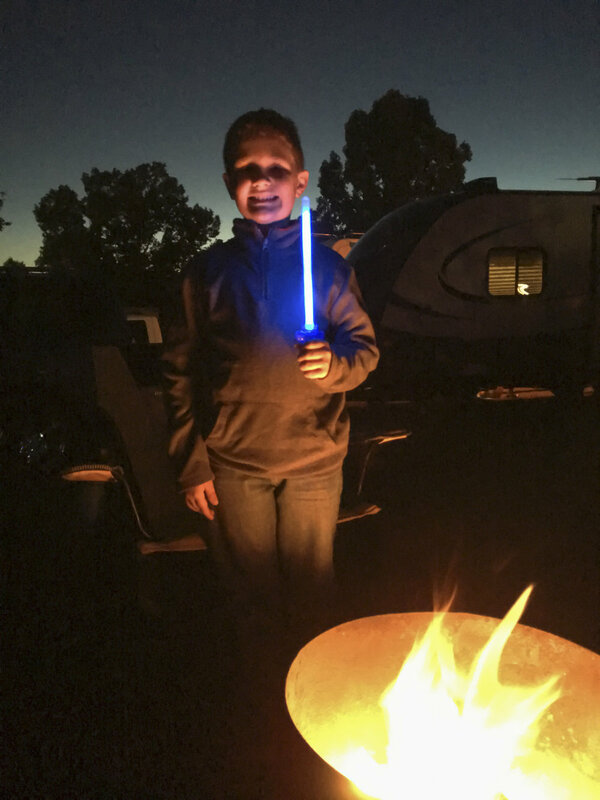 The campground had Halloween activities available all day including a costume parade and trick or treating. 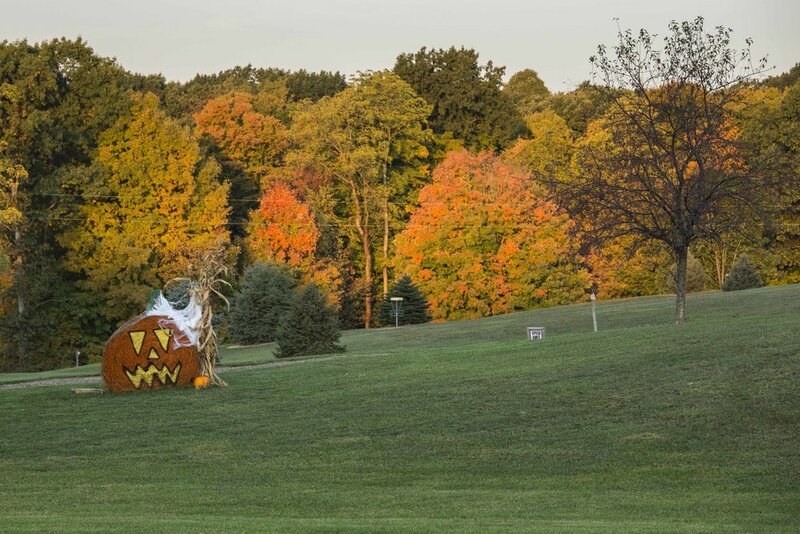 The trick or treating was awesome… almost all the sites participated! We brought 300-piece candy bag and went through the whole thing! We’ll definitely visit Yogi Bear’s Whispering Hills Jellystone Camp Resort again! 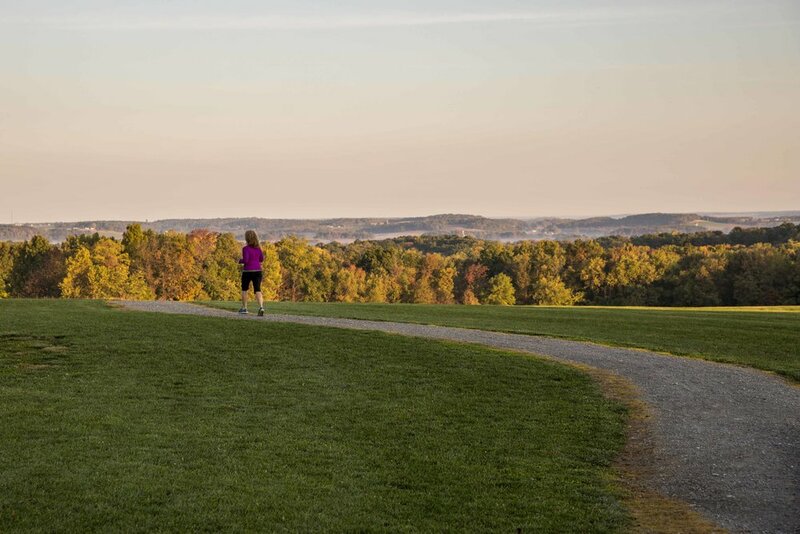 As for Amish Country… we’ll be back looking for off-the-beaten-path spots to experience what Amish Country is all about. Older PostBlue Ridge Mountains... The Perfect Spot For A Hiking Retreat!